The first Mughal Emperor, Babur, was succeeded by his son, Humayun, who ruled in India for a decade but was expelled. Eventually he took refuge with the Safavid shah of Persia, who helped him regain Delhi in 1555, the year before his death. 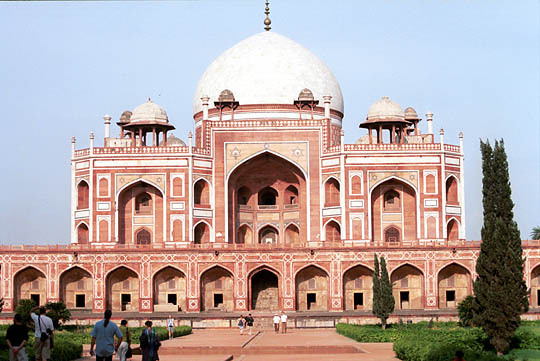 Humayun's Persian wife, Hamida Begum, supervised the construction from 1562-1572 of her husband's tomb in Delhi. This tomb is of particular cultural significance as it was the first garden-tomb on the Indian subcontinent. It inspired several major architectural innovations, culminating in the construction of the Taj Mahal.